As mundane of a topic as it may seem, parking is often a contentious part of our local conversations about developments and urban design. Here’s a primer on the connection between parking and good urbanism. Parking affects transit quality and ridership. In a comprehensive study of light rail systems built over the last 30 years, the number one factor correlating with reduced ridership was the availability of cheap or free parking along the route. Why ride when it’s easier to drive? As long as it’s cheaper to drive than to take transit, people will continue to do so. Therein lies the problem with the idea of continuing the status quo of building new developments for cars while we wait for the transit and walking infrastructure to catch up: parking facilities and the built environment they create will not simply disappear because the BeltLine (or whatever else) is completed and transit in the city is expanded. They’ll linger on, allowing cars to continue to compete unfairly with transit and walking and cycling. The availability of cheap, convenient parking spurs car trips. Every parking space that’s cheaper than transit fare and closer to the door of our destinations actively gives people a reason not to ride transit. 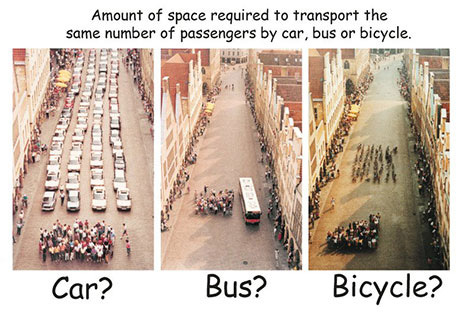 It’s a factor that undermines our investments in biking, walking, and mass transit. Donald Shoup, a UCLA urban planning professor, put it succinctly in his book The High Cost of Free Parking: The more parking you build, the more people drive. What can be done? Three suggestions for positive change. Here are three suggestions for making reforms to parking in Atlanta in an effort to put other modes of transportation, like transit and cycling, on a more level playing field with driving. 1. Remove surface parking lots as a permitted use. This does not mean we send crews out to be begin de-paving existing lots. It simply means no new ones can be constructed and existing lots will be phased out as their lifecycle expires. 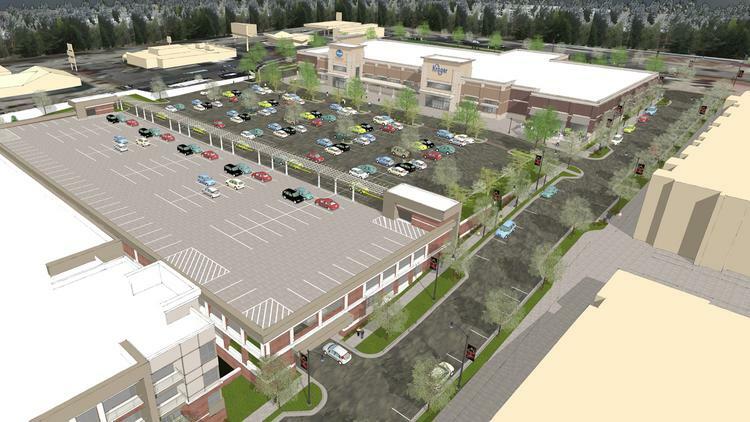 The prohibition against surface parking lots is not as radical as it sounds; the city’s own Comprehensive Development Plan of 2011 recommends it. 2. Remove minimum parking requirements. It makes no sense to recognize the harmful impacts of parking while at the same time requiring their construction. These minimums impact the city in many ways, including the ability of smaller stores to open in mixed use neighborhoods without having to spend extra money to provide required parking spaces. 3. Increase the price of business fees for park for hire lots in the city. These fees, lower than $3 a space in most cases, allow institutions to bank land for far lower than the cost to the community of having a sea of parking lots. Increasing the fees would generate revenue which could be used for transit expansion and the redevelopment of the lots, while discouraging the long term holding of land that the current system allows. This is not about aesthetics — it’s about the future of Atlanta. Reform of parking in Atlanta is not merely some aesthetic or lifestyle preference, and it’s not an attempt to simply punish drivers. It’s about reducing car trips, meeting climate goals, letting transit truly compete for trips, using urban space more efficiently (important given our population growth), and reducing the prevalence of uninviting dead spaces in the city. Let’s start measuring transit projects, such as the streetcar and Beltline, in numbers of cars taken off the road, not development dollars spent nearby. Let’s stop competing with the suburbs and their big-box stores and start competing with other cities that offer walkable neighborhoods and transit. Atlanta needs to have the capacity to accommodate up to 500,000 new citizens. We cannot accommodate all their cars. Previous Previous post: What’s permanent about pouring billions into Atlanta’s Gulch for HQ2? We need room for passenger rail. Next Next post: SLOW DOWN the Gulch deal, City Council. This is too important to rush!